I’ve written plenty about assisted dying (and DignitySA, an NGO dedicated to securing the right of South Africans to a good death) over the years. It’s a topic that is understandably emotive to most people, but also one that’s the source of great tension between secular and religious views on how states should be governed. Karel Schoeman never wanted to be old. I don’t either, but maybe you do – or maybe you already are, by whatever metric you use to measure such things. Regardless of where you stand on that, I’m fairly confident that none of us want to die slowly and painfully. I swear by Apollo the physician, and Asclepius, and Hygieia and Panacea and all the gods and goddesses as my witnesses, that, according to my ability and judgement, I will keep this Oath and this contract. It will furthermore ask that physicians comport themselves in a “Godly manner”, and do so without “seeking reward”. The point, in short, is that it’s nothing like the modern understanding of the oath, where that understanding is typically summarised in the phrase “first do no harm”. This, in turn, means that when you appeal to the Hippocratic Oath to justify (or to rule out) some course of action, you’re already appealing to an interpretation of that Oath – and you’ve already admitted that the Oath is therefore a guiding principle, rather than an absolute rule. Which, in the context of a discussion about euthanasia, means that we are able to discuss further interpretations of that principle, including the question of whether more harm might be caused by keeping someone alive if they are in pain versus allowing them to die – or even hastening their death. We are not obliged, in short, to think that a life ending is automatically and always a harm that trumps any other possible harm. Not only because interpreting the oath as offering guiding principles rather than absolute rules allows for “avoiding harm” to (on balance) mean “cessation of life”, but also because physicians already don’t follow the oath to the letter anyway. I don’t know about you, but if I heard my surgeon swearing to Apollo, I’d try to find a new one before the anaesthetic kicked in. “Doctors are human and make mistakes too. 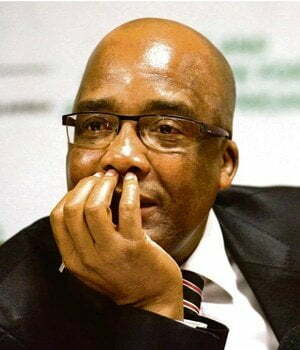 They can say a person has a few weeks left to live, based on medical observation, but only God can decide when a person dies,” Motsoaledi said. He said as much as doctors played an important role in bringing life to this world, “they should not be given the right to end it because they did not create it in the first place”. “When doctors begin their career, they take the Hippocratic Oath and pledge to do all they can to preserve life and not do anything that will intentionally harm or result in the death of a patient. Nowhere in the medical curriculum were doctors taught to kill,” he said. This is all in response to the ruling on Robin Stransham-Ford, last week, in which Stransham-Ford was granted permission to seek assistance in dying, and the Judge furthermore ruled that the physician who so assisted him would not be prosecuted. Motsoaledi intends to make sure this does not set a precedent, for the reasons summarised in the quotes above. South Africa is a secular country. While the Health Minister can believe in whatever god(s) he likes, he has a responsibility to make laws that allow for secular justifications. When he speaks as Minister, he should not be suggesting that a certain policy should be motivated by anything to do with what a god might hypothetically want or not want. He’s arguably wrong on the facts, and is relying on an uninformed gut feel rather than the evidence regarding the consequences of assisted dying being legal. He claims that we’ll soon see “families colluding with doctors to end the life of their loved ones because they wanted to cash in on insurance policies”, but as far as we can tell from the Netherlands and Belgium, you can eliminate much of this risk through devising legal safeguards for when assisted suicide is permitted and when not. To that, he might say that safeguards are not enough – that risking even one death for this sort of profit motive is one death too many. And here is where our interpretations of “harm” are directly relevant – physicians are always or at least very often making decisions about treatment that might cause harm, but on balance are thought to stand the best chance of avoiding harm. Ending a life is one option in a range of interventions, for the purpose of serving that same goal. And, ending a life can only be treated as uniquely forbidden as a form of “treatment” if we hold the view that life is somehow “sacred”, which we cannot do in a secular country. As for the “playing God” sort of argument, Minister, it’s entirely spurious. We all play God when we walk across a street wearing our spectacles, because without them, the bus that God hypothetically sent to run us over would have succeeded in its mission. We play God when we take antibiotics, or when we fly to foreign countries in devices we’ve invented and constructed for that purpose. With assisted dying, we get the chance to play God in a way that She doesn’t seem that interested in, and we should seize the chance to do so. In this case, we can – and should – play God through alleviating the pain of someone who is dying, and who wants their life to end. It is to God’s discredit if she doesn’t want to permit or condone this course of action. And it is to our discredit also, if we instead choose to rely on self-serving interpretations of a centuries-old Oath, to evade the moral responsibility of eliminating suffering wherever we can.